Elon Musk is no stranger to solar energy. 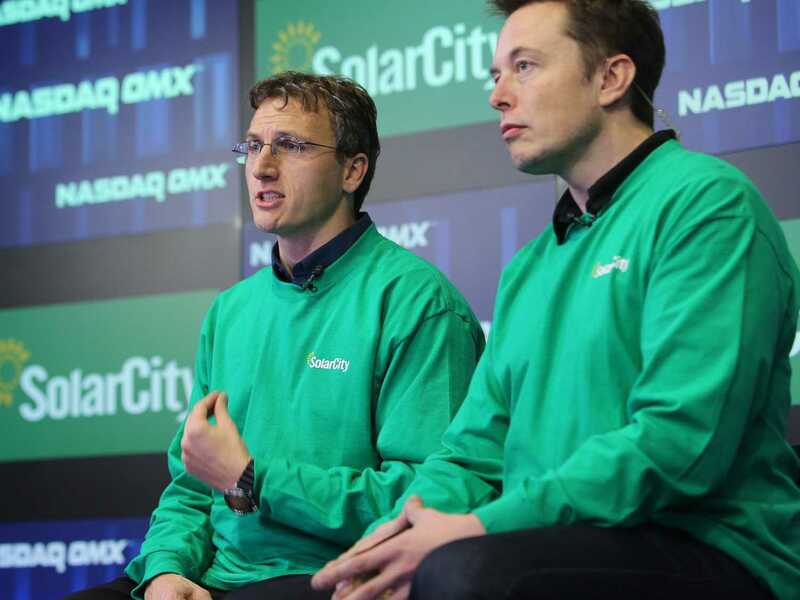 He is the largest shareholder of SolarCity, one of the nation’s largest manufacturers of solar voltaic cells. Just this week, the CEO of Tesla Motors has announced Tesla’s intention of acquiring SolarCity in a deal that could be worth more than $2.8 billion. The purchase is entirely up to Tesla’s and SolarCity’s shareholders; Musk has recused himself from the final purchase process. If the plan goes through, it would add even more pull to the already massively influential Tesla Motors. Although market analysts are casting a lot of doubt about the merger, Musk says that the addition of SolarCity could eventually mean a valuation of $1 trillion. Tesla has already worked with SolarCity in the past to develop PowerWall, a device that allows energy from a sustainable source (ideally the sun, but wind also works) to get stored for use while those sources are unavailable. PowerWall is available to both residential and commercial customers. Tesla Motors has already put sustainable energy practices in the mainstream with their Model 3, Model S, and Model X vehicles. With SolarCity in the mix, solar cells could be involved with the production of future vehicles. Renewable energy sources tend to get pooled together into one, no matter how different they actually are. With Musk’s interest in solar, some have asked what the move means for his impression on other renewable sources such as wind. A recent article in the Huffington Post highlighted this, and Musk made clear that he doesn’t see wind energy having a role in what he hopes to achieve in the near future. He told reporters that companies involved in wind energy are doing “fine”. Apart from a presumable large amount of road bumps in making the merger possible, the desire of Musk reflects his already growing confidence in the direction of solar energy. Although solar energy is growing at an alarmingly fast rate, there is still work to be done to make it more attractive at the residential level. In his blog post, Musk said that fusing Tesla and SolarCity would allow for a more effective market reach; more so that either company would be capable of obtaining on their own. He made the point that those who either drive a Tesla or have solar panels installed in their home are more likely to be interested in the other service they don’t yet have. At this point, there’s no saying where Tesla and SolarCity are going to be in regards to one another at this very moment, but it is a testament to the ground that solar energy is gaining. How fast is solar growing? This figure should tell you. Forty years. That’s how long it took one million solar energy systems to get installed in the United States. According to Green Tech Media, it is believed that the one millionth installation happened sometime around the end of February this year. While those forty years were met with plenty of economic, technological, and cultural hurdles, the tide is quickly changing. Solar Energy Industries Association president and CEO Rhone Resch said in a statement that solar installations will hit the two million mark in just two years. Apart from the obvious trend away from reliance on the grid, Resch points out what this kind of growth will mean for job creation and overall economic growth in states where solar is catching on more and more. With a projected growth of another one million installations in two years, one can imagine the kind of money that’s behind it all. According to SEIA, the solar industry experienced investments within the $1.4 billion range in 2006. In 2015, that number went up to $16.8 billion. It’s also worth mentioning that between 2006 and 2015, jobs in the solar energy grew from 17,000 to 209,000. Growth is big but the share of solar energy in America is still small. Just 1% of all power in the United States is generated through solar, but figures show that it could increase to 3% by 2020. This sounds small, but we’re talking some serious power. By the end of 2016, GTM Research projects that 16 gigawatts of power will be installed. Currently, there is enough solar energy to power a state the size of Pennsylvania. With this kind of growth, what has it meant for the electric grid? It’s easy to say that the sun hasn’t quite been shining on the slowing, yet drastically still dominant industry. According to Bloomberg, the growth of residential solar installations are cutting into the purchases that grid managers make from conventional planets. Come 2019, the result could mean around $2 billion in lost revenue for standard power generators. There’s no doubt that the prowess of those involved in the solar industry has a lot to do with the success it has experienced in recent years. But a big reason for the growth also has a lot to do with cost-cutting programs implemented on both the state and federal level. In an effort to keep the momentum alive, SEIA has launched a #MillionSolarStrong marketing campaign to highlight the many accomplishments of the industry, as well as what’s expected to come. 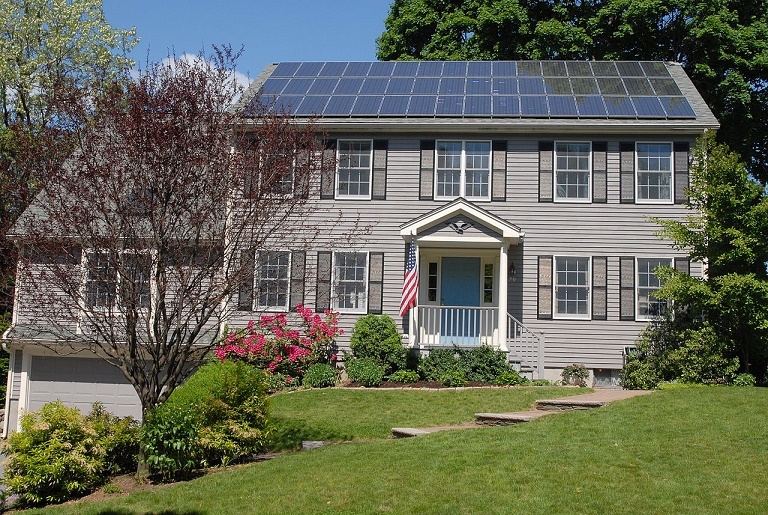 The homepage of the MillionSolarStrong features a wealth of information about where solar is headed, as well as the environmental impact that can be expected from the continuous growth of installations. 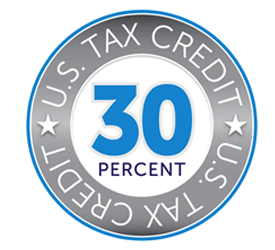 In a move that provides a great source of relief to the solar industry, the 30% investment tax credit (ITC), arguably responsible for a significant portion of the industry’s growth, has been extended to 2019. The decision by lawmakers will give solar projects around the country a chance to stay on top of their goals, and will grant the 30% credit to all projects that begin by 2019. Lobbyists spent a better part of 2015 convincing congress to extend the ITC, which was set to fall down to 10% in 2017. If the ITC didn’t extend, some publications claim that the drop in 2017 would have been “disastrous”. 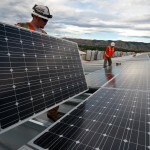 Current projects would have been rushed to be completed by 2016, subsequently leading to a massive drop in solar output. According to BusinessWire, the possible rush would have lead to a 17 gigawatt (GW) output to just a 6.5 GW output in 2017. Although there might be future talk to keep the 30% tax credit alive past 2019, the current agreement is to drop to 26% in 2020, 22% in 2021, and then to 10% after that. The Solar Energy Industries Association (SEIA), the nation’s trade association for solar energy, applauded the decision to extend the ITC, listing out the many results that can come about. The addition of 220,000 new jobs by 2020, with a goal of employing 50,000 veterans. $133 billion+ “in new, private sector investment in the U.S. economy by 2020,” with growth being attributed towards small business. SEIA says that 85% of the 8,000 solar companies in America are considered small business. A triple-rate growth in solar power by 2020, reaching 100 gigawatts. At this level, SEIA says that’s enough to power 20 million homes. At 100 gigawatts, that would represent 3.5% of all electricity generation in the U.S. 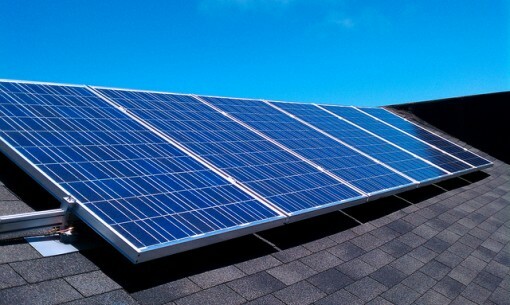 Right now, according to Travis Hoium of The Motley Fool, total solar output accounts for 1% of all electricity. Business Wire also pointed out that the ITC extension provides an advantage not only for the US solar industry, but for the global industry as well. Global installations could very well reach between 66 and 68 GW in 2016, eventually reaching 70+ GW in 2017. New figures released this week show that residential rooftop solar installations within the US set a record in Q2 of this year. Findings released by GTM Research and the Solar Energy Industry Association (SEIA), show that Q2 saw a record number of rooftop installations, beating out what was set in Q1. With 1,393MW of PV in Q2, the US has now surpassed 20GW of solar power. 1,393 MW of solar photovoltaic (PV) power installed in Q2, which according to SEIA is the seventh consecutive quarter where more than 1 GW of PV power was installed. 40% of all electric generating capacity brought on-line in the first half of 2015 was attributed to solar power. 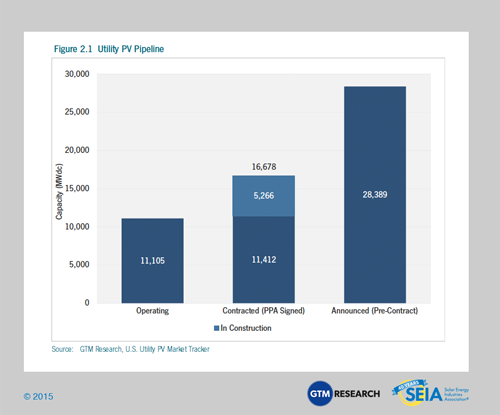 SEIA’s forecasting that 7.7 GW of solar power will be installed in 2015, which marks a 24% raise year-over-year. It should be stated that the largest share of the solar market is still utility-level solar installations, but according to Ecowatch, residential solar installations have risen 70% year-over-year. Utility installations made up 729 MW of solar PV in Q2, which accounts for about 52% of all installations in Q2. Passing the 20GW mark, SEIA president and CEO Rhone Resch said that there is now enough solar power to light up 4.6 million US homes, which also reduces carbon emissions by more than 25 million metric tons per year. Another item of note is the geographic diversity that is related to the solar sector. Greentech Media pointed out that ten states each installed more than ten MW of power in the second quarter, indicating a growing interest and support across the nation. Many sources have pointed the continual growth of installations, especially in the residential sector, to the near-expiration of the federal solar Investment Tax Credit (ITC) at the end of 2016. SEIA has been actively calling for the expansion of the ITC, which is described by the SEIA as a “vital” component to the health of the solar industry. Visiting the SEIA site will allow visitors to make a contribution toward their mission to expand the ITC.